Recently, members of Nevada Cop Block and the Sunset Activist Collective were doing a chalk protest on the sidewalks in front of the Zappos Headquarters in Las Vegas. Although Zappos is a private entity, we often protest against them because they use their money and influence to buy land from the city at huge “discounts.” They also leverage that ability to acquire cheap property to drive long standing businesses out of the downtown area. It’s gentrification and cronyism at its worst. They literally bought city hall and it’s not just a metaphor. They have a tight leash on Mayor Carolyn Goodman and most of the City Council members. They have pushed for and had passed on their behalf laws and city policies, such as beverage sales restrictions and age based curfews, that target their competition (liquor stores) and give police the opportunity to harass people who might be downtown, but that aren’t frequenting the bars that they own or sponsor. Other ordinances they have used their influence to get passed have also targeted street performers, who they also see as competition for the bars, and homeless people. As we were in the process of chalking, one of their security guards (the company they work for directly is “Acme Security”) came out and very aggressively tried to claim we couldn’t write on “their property.” Another security guard showed up shortly after and was also acting very aggressive and was equally confused about basic property laws. A third security guard was there, but stayed more or less in the background. Two years ago, three other people and I were arrested for simply writing on sidewalks with “sidewalk” chalk. In total, five of us faced bogus and ridiculous graffiti charges that could have potentially resulted in four years of jail time. Although we’d been harassed a pretty good amount prior to the arrests and for some time after, at this point whenever the police show up, they generally tell us we are doing nothing wrong and then leave. Part of that is undoubtedly due to the lawsuit we filed over those arrests citing the prior harassment. However, the fact that we were vindicated in our original case made it clear that chalking on public sidewalks is not illegal and that the arrests were nothing but harassment, retaliation and intimidation tactics by the LVMPD against someone who was legally and peacefully protesting against their crimes and total lack of accountability. Metro has no choice, but to avoid making that mistake again and they’ve let their officers know that. That’s why it is important to know and exercise your rights. Even though private security guards aren’t actually cops, they do, or think they can do, many of the functions that police perform. Therefore, it’s important to ensure they understand the laws and rights of people. 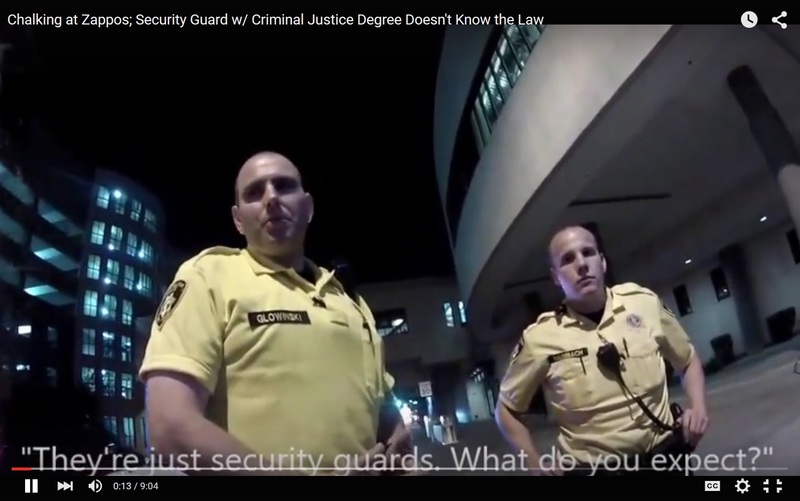 Although security guards are more likely to be punished for their crimes, especially use of force crimes (and since they aren’t a product of a coercive monopoly there are options available to ensure they are held accountable, even if their employers aren’t willing to do so of their own volition), it’s just as important to ensure they (or anyone in general) know and are following the law and the Constitution. 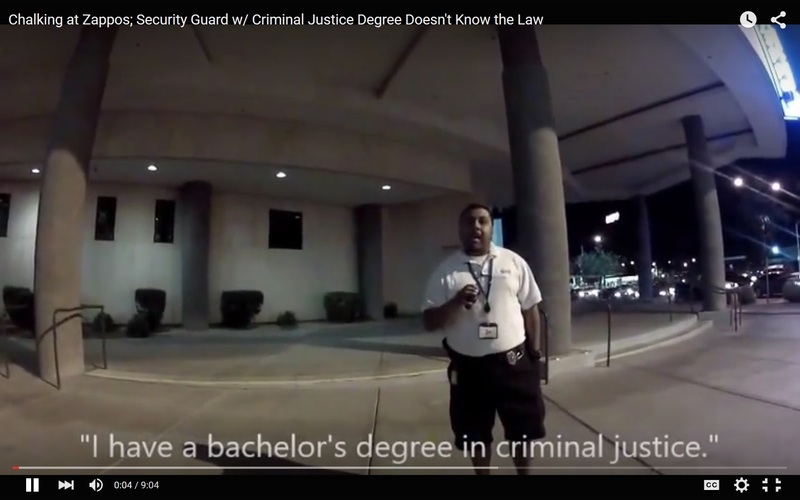 And lastly, if you’re going to claim you aren’t “a stupid security guard” because you have a degree in criminal justice, perhaps you should crack open a legal dictionary or attend a real college. That way you might know the basics about property law and the First Amendment, instead of looking like a stupid security guard. Click for related Know Your Rights videos and content. Says the cop that makes incorrect claims about the law all the time. Remember when you claimed that premeditation was a required element for all murder convictions? That was funny. Where? From Oxford Arkansas? Same institution of higher learning that Jethro Bodine graduated the 6th grade from? 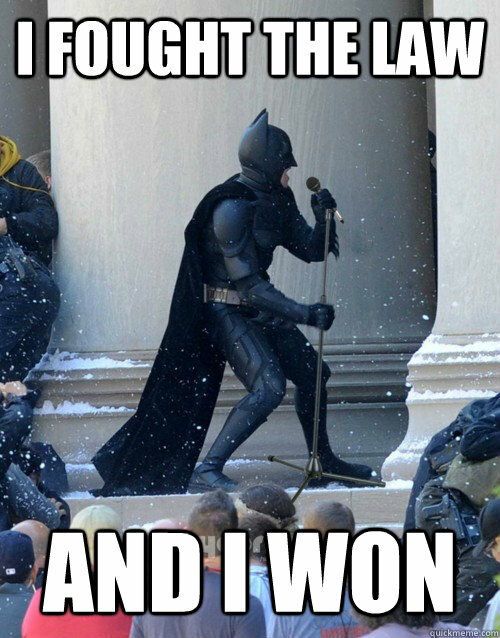 TL;DR….woa woa woa. 8:40 was dude wearing a dress?!?! 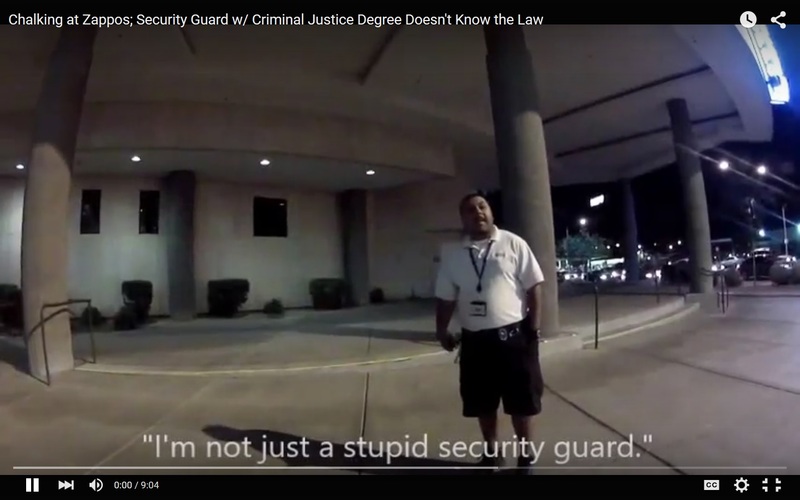 That moment in life when you discover that – in reality you are just a stupid security guard. yea, what’s with the hairy guy in the dress?? ?